You will simply fall in love with this delightful Mini-Cupcake. 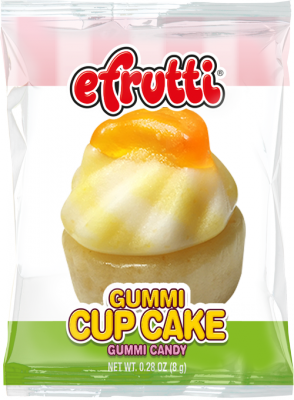 A bi-coloured, delicious fruit gummy bonnet sits on a base of foamed marshmallow fruit gummy. A detailed decorative fruit garnishes this sweet work of art. 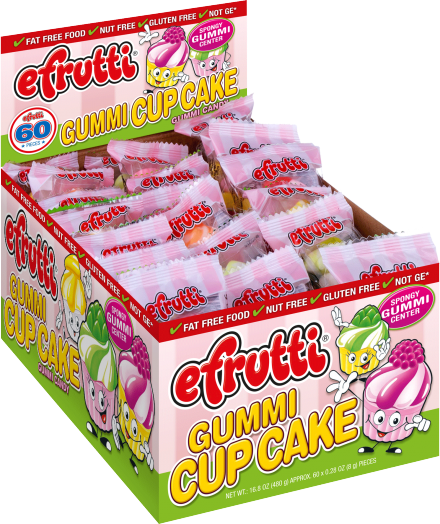 Just biting into the airy cupcake base, you will be surprised by the intensively fruity, foamy filling. The aromatic versions of the fruit gummy topping, from blackberry via banana, orange, strawberry, raspberry right up to pineapple, are harmoniously rounded off with a touch of creamy vanilla.